G Design Web Studio’s team has his fingers on the pulse of the digital marketing. Our experienced team will present the full scope of online marketing actions available to you such as social media marketing, search engine marketing and pay per click (PPC). Our team can help you drive traffic, increase sales, build a strong brand identity and a community for your product. Our solutions include optimized blog, Twitter, Facebook page design and content from copywriters. We also monitor your brand online and provide feedback to help you make business decisions. 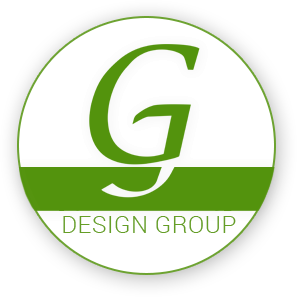 In case of any questions, feel free to contact us: info(at)gdesigngroup.net. Managed PPC programs save you money. Pay-per-click marketing campaigns – a model of internet marketing where advertisers pay a fee each time one of their ads is clicked. It’s a way of buying visits to your website. Our certified professionals will carefully monitor the progress of your PPC online marketing campaigns, the number of quality leads coming in, and tweak your ads for better performance and for maximum ROI. We care about our clients and what they spend, and believe they have every right to expect results. G Design Group offers on-page and off-page optimization which will help you design and build an authoritative, content-dense and easily accessible website for both users and the automated “spiders” that crawl the internet. We are aware of the latest technologies of the search engines which ensure the guaranteed results. Our specialists are certified by Google. We will optimize your website’s design, code and content to provide top rankings on search engine results top pages for desired keywords. This allows your site to attract the most qualified and specific target you need.